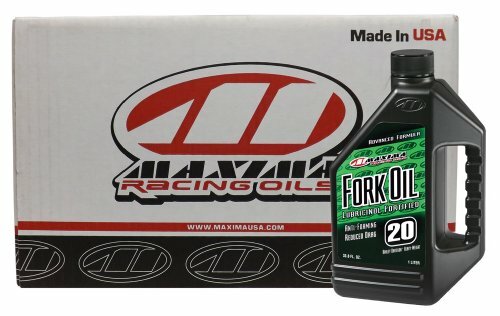 Maxima Fork Oils are formulated from the highest quality base oils and advanced additives to prevent foaming, seal hardening, oxidation and “stiction”. Lubricinol provides for very low sliding friction and protects internal components from wear. Temperature stable viscosity provides for constant fork action and terrain compliance for the front wheel. For all front suspension systems, both standard and cartridge. 5WT fork oil is normal service weight for MX applications. Consult owners manual for specific applications. Can be blended for intermediate viscosities. Maxima fork oils are formulated from the highest quality base oils and advanced additives to prevent foaming, seal hardening, oxidation and "stiction"